Volkswagen has updated its Car-Net mobile app with deeper Siri integration to allow drivers to perform specific tasks remotely from their vehicle, enabling users to lock or unlock their car from far away just by asking Apple's digital assistant on an iPhone. Announced on Monday, iPhones and iPads running iOS 12 can start to use Siri with the Car-Net app to control their vehicle. Once set up with the app, Siri can be used to change whether or not the car is locked, and to check the estimated mileage remaining for fuel, or for electric vehicles, how much charge is remaining. If the driver has forgotten where the car is located in a parking lot, they can also ask Sir to flash or honk the car's horn so it can be more easily found. There are also several shortcuts that can be enabled in Siri with personalized phrases, including commands to start or stop charging, to defrost the windows, to set the climate control temperature, and a "where is my car?" query. "We are constantly looking at innovative ways to make VW Car-Net more convenient and relevant for our customers," advised Volkswagen EVP Global CIO Abdallah Shanti. "With Siri Shortcuts, creating voice commands to use with our mobile app was a great opportunity to do just that. Integration with Siri helps our drivers keep eyes on the road and hands on the wheel." Car-Net covers a number of elements of car ownership, including the Car-Net Security and Service features that can automatically notify parties in the event of a crash, summon roadside assistance, and help locate stolen vehicles. It also provides remote vehicle access and status information by going through the app directly rather than through Siri, and can be used to view diagnostics and maintenance information, and to schedule dealer visits if required. There is also an Apple Watch version of the app that provides access to many of the functions of the main iPhone app but from Apple's wearable device. 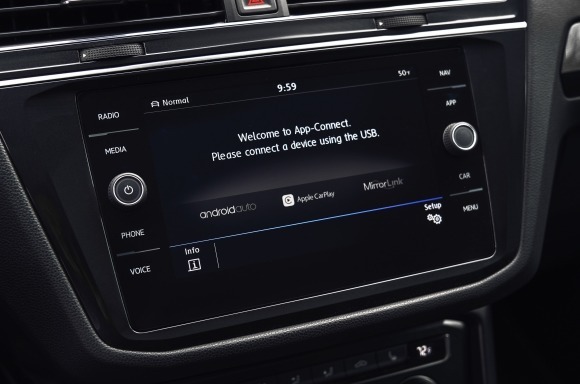 In March, Volkswagen commenced a promotion offering up to six months of free Apple Music access to new car buyers who register with the connected car service. CarPlay, Apple's in-car infotainment software that connects to iPhones, is also available in a number of the manufacturer's vehicles.